Did you know that every year over 40,000 people commit suicide? On average, about 8 out of 10 individuals who take their life are males, and the majority of them are ethnically white–followed by American Indians, Asians, Blacks, and Hispanics. Moreover, suicide is the second leading cause of death among young adults–killing more people than cancer, heart disease, and stroke combined. This doesn’t include the 650,000 suicidal attempts that end in non-fatal injuries. What a shocking and sad statistic. In 2012, my wife and I went to Winter jam, the largest Christian based musical tour in the United States. The year we went the theme was “Let your light shine.” I remember the speaker that year was Nick Hall. He began his message by shining a flashlight around the whole arena, illustrating the importance of being a good friend, neighbor, and “light” to those in darkness. Then he began to mention life issues that people struggled with: Peer pressure, drugs, fear, anxiety and depression, and how our light as Christians are to positively affect those around us. He told a story about a young woman who came to the concert a few weeks back. She told Nick her struggles with depression. She felt like there was no reason to live, was a burden to others, felt trapped, and wanted to end her life. This woman always wore a necklace with a heart emblem. Inside the emblem was a razor. Whenever she felt sad, she would take out the razor and cut her wrist to alleviate the anxiety and turmoil she experienced from within. The night she went to the concert, she was contemplating suicide, but instead, gave her life to the Lord. Afterwards, she handed the necklace over to Nick and insisted he share her story with the rest of the world on tour about the hope she found in Christ. What an amazing story. Have you ever contemplated thoughts of suicide? You are not alone. There are godly people today and those in the Bible who struggled with sinful thoughts to end their lives. Solomon said he hated life (Eccl. 2:17) and yet advised the world to fear God and keep His commandments. After Elijah’s great victory over the 450 prophets of Baal, he became very depressed and yearned for death (1 Kgs. 19:4) but God spoke to Elijah and sent an angel to comfort him during this trial. Even the Apostle Paul struggled with depressing thoughts. He said in 2 Corinthians 1:8 that he was under great pressure, far beyond his ability to endure, so that he despaired of life itself. Nevertheless, Paul trusted that His great God could bear his burdens. We know that suicide is wrong because it’s murder. By taking our own life, we are rejecting God’s gift of life and marring his character. God is the giver of life–only He has the divine right to determine the day and hour of our death. Job 1:21 says, “The Lord gave and the Lord has taken away; may the name of the Lord be praised.” It’s up to God whether to give life or end it. We must be willing to live for his glory, no matter how hard and depressing moments can be. I know it’s difficult, but all things are possible through the power of God. When in doubt, remember these lyrics from Robert Keen’s hymn “How Firm a Foundation.” Never give up. My grace, all sufficient, shall be thy supply. Thy dross to consume and thy gold to refine. But what about when the words don’t help? I’m only here today because my attempts failed. I knew the words, but they didn’t help. Not at the time. Ant the people around me didn’t help either. Some of them were supposed to be God’s representatives here on earth. They didn’t help. For me, it seems that God just wasn’t ready to let me succeed in cutting sorry my time. And now, I still think it’s not so much the words. It’s Him. And we’re supposed to be His representatives. So it’s us. Not just with the words. But maybe like Job’s friends before they opened their mouths. Sorry if this seems a bit blunt, but doesn’t the Bible say that too? You are right. Sometimes the words don’t help and the most important thing you can do is listen to the individual. As Christians, we are called to counsel others and impart truth to them. Not only are we called to give them advice from the Bible, but to be a friend and help them to see that life is worth living. Yes, times can be tough, but when an individual has an accountability group, a church to attend, reading their Bible, and worshipping God everyday, it helps to prevent those suicidal and negative thoughts from arising in their mind. Thanks for your comment! I am very well acquainted with the issue of suicide – very well acquainted. As a matter of fact, I have had a long history of dealing with the temptation, nearly following through back in my teen years. Now, even as a pastor, the thoughts still come, they still haunt. Once a person has crossed a certain line, things are never the same. Nevertheless, I know that I am still here for multiple reasons, the most important of which is the glory of God. But even though I know “the words,” as was mentioned in the comment above, suicidal thoughts can attack when I least expect them, and especially when I do. 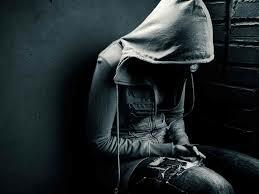 But I have come to understand that suicide is a lie: it will not, it cannot, fulfill its promises. No matter the circumstances, suicide will not accomplish its goals. At most it will get others’ attention, but it robs one of the opportunity to see the problem fixed. For the most part, I believe suicide is an attempt by the hurting to get others to notice, to empathize. But what Satan enjoys doing is blinding us to two very important facts: that we are not alone in our pain, and that God never wastes a tear. The One who literally laid His life down so that we could live literally walks with us, just like the ones in the biblical furnace. And no matter the pain, no matter the situation, no matter the shame, there is someone else out there who needs us to shoulder up to them and say, “I understand.” There are other Jobs, and they need friends who can really understand, not just criticize. Well said, Anthony. Thanks for sharing your personal life and struggles with suicide. You are right on with every word you said. Continue being a light to those around you, especially with the influence you have as a Pastor. You can emphathize with those whom you minister to because of the struggles you’ve had. Have a great day and may God continue to bless your ministry for His glory!